Security is paramount to many of us these days, and while our iPhones – and now our iPads – have fingerprint scanning technology in the form of Touch ID, Apple has so far resisted adding it to the Mac. That doesn’t mean it’s not a good idea though, and thanks to the power of the App Store it’s now possible. It’s possible thanks to a $1.99 app called FingerKey, and it’s done via a combination of the iPhone app and a companion app that is installed on the Mac in question. Once the two have been paired up then you’re good to go, with the act of unlocking a locked Mac being reduced to something as simple as placing a finger on your iPhone’s Home button once you’ve launched the FingerKey app. The addition of something like FingerKey to the Mac is more than just a cool use of technology. An alarming number of people don’t have their Macs set to ask for authentication when they wake up from sleep for example, usually because they don’t want to enter a password. A solution such as FingerKey could help increase the number of people who use passwords at all while also meaning they may use stronger passwords as well. 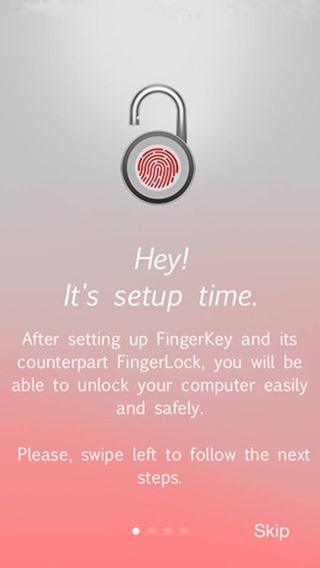 The folks behind FingerKey are apparently working to make their software even better with the addition of gestures for those that want to use their touch-screens to authenticate. No matter the unlock method though, you’ll benefit from 256-bit AES encryption for both storage and transmission of your info. FingerKey also comes with its very own widget, granting you the perk of unlocking your Mac directly from the Notification Center from anywhere in iOS. 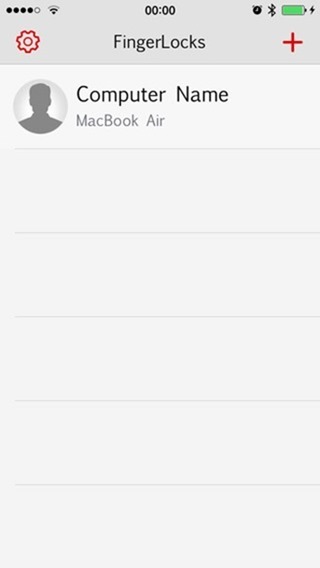 This feature is reason enough for anyone to grab it from the App Store. Trust us, it really is that good! The FingerKey app can be downloaded from the iOS App Store for $1.99 and the companion Mac app can be had for free from the developer’s web site. One last thing; the app is somewhat broken with iPhone 6 and iPhone 6 Plus, but an update is on its way to resolve everything for good. 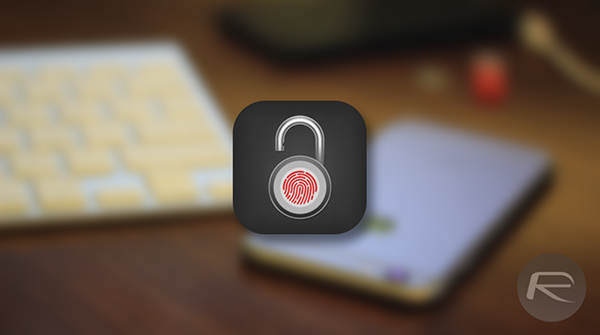 If you don’t want to use Touch ID to unlock your Mac, then you can give Knock for iPhone a shot. Doesn’t work on iphone 6. For everyone having difficulty ՍΝᏞΟᏟΚing their AT&T phones, you are able to check out just google atttiphoneuunlockingfor excellent service, oahu is the best սոⅼοсking site I have ever use, never took us more than 6 hours to ՍΝᏞΟᏟΚing any one of my devices.